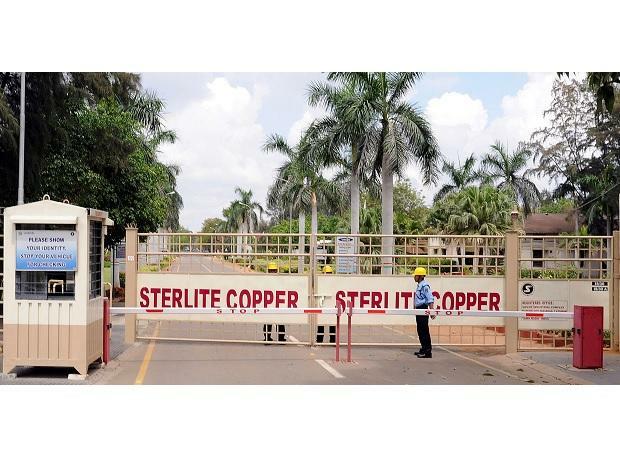 In a setback to Vedanta, the Supreme Court (SC) on Monday set aside thes (NGT’s) order allowing reopening of the company’s Sterlite Copper unit at Tuticorin in Tamil Nadu. The two-judge Bench, led by Justice Rohinton Fali Nariman held that NGT had no jurisdiction to pass orders allowing the unit's reopening, and gave Vedanta the liberty to approach the Madras High Court (HC) for interim relief as its plant had been shut since April 2018. The Madras HC, the apex court said, could decide the issue on merits. Terming it a big victory for the people of Tamil Nadu, the state’s Law Minister C V Shanmugam said the government would “face the case if the company approaches the HC for relief”. P Ramnath, CEO, Sterlite Copper said order by the National Green Tribunal dated December 15th has been set aside by the Supreme Court solely on the grounds of maintainability, but we have been granted liberty to approach the Madras High Court for suitable remedy. In view of the above, after going through the Hon’ble Supreme Court order in detail, in consultation with our legal team, we will decide our way forward on this matter, he said. The Tamil Nadu Pollution Control Board (TNPCB) had initially on March 29, 2013, ordered shutting down of the plant for the first time after local residents complained of irritation, coughing, and other health issues. The order was, however, stayed by the NGT, which allowed Vedanta to continue operations. After renewed inspections in 2016, the copper unit was allowed to operate for one year. The approval was later extended till March 31, 2018. In April 2018, following the large-scale protests by residents against proposed expansion of the plant, TNPCB refused to grant Vedanta fresh consent to operate the copper unit. In its order, the state pollution control board had said the company had not met the required environmental norms and thus could not be allowed to resume operations. The agency had asserted that the copper smelting plant was the cause of near irreversible groundwater pollution. Vedanta, on the other hand, had said the decision to shut down the unit permanently was “political”. The company had contended that high-level ground water pollution was not limited just to Thoothukudi, and that similar situation existed in other parts of the state. In May, the pollution control board ordered cutting off electricity connection to the plant and asked it to be shut down. Citing orders passed by TNPCB, the state government had on May 28, 2018 ordered shutting down of the plant permanently. The orders by both TNPCB and Tamil Nadu were, however, was stayed by the NGT. In its December 15 order, the NGT had said the state government’s decision to shut down the Vedanta group’s Sterlite Copper plant at Thoothukudi was “non-sustainable and unjustifiable”. The tribunal had also directed TNPCB to pass a fresh order of renewal of consent, paving the way for reopening the plant, which caters to 35-40 per cent of the country’s copper demand. The NGT had, in its order, also said that reasons mentioned by TNPCB while refusing to renew Vedanta’s consent to operate were not that “grievous to justify permanent closure of the factory." Following NGT’s order, Tamil Nadu had moved the apex court challenging that NGT had no jurisdiction to pass orders in the case and that only the state’s HC could hear the matter, which was upheld by the apex court. The Supreme Court on Monday adjourned hearing in power companies’ plea against the Reserve Bank of India's February 12 circular to March 6. The said adjournment was sought due to non-availability of the bench which was initially hearing the matter. The bench was scheduled to start hearing the case from Tuesday. The Supreme Court on Monday issued notice to the Competition Commission of India (CCI) on a plea moved by Monsanto against a probe ordered by the fair trade regulator. CCI had ordered a probe of Monsanto's top officials for alleged abuse of dominant position in the Bt Cotton market in India. Monsanto's plea has already been rejected by the Delhi High Court.